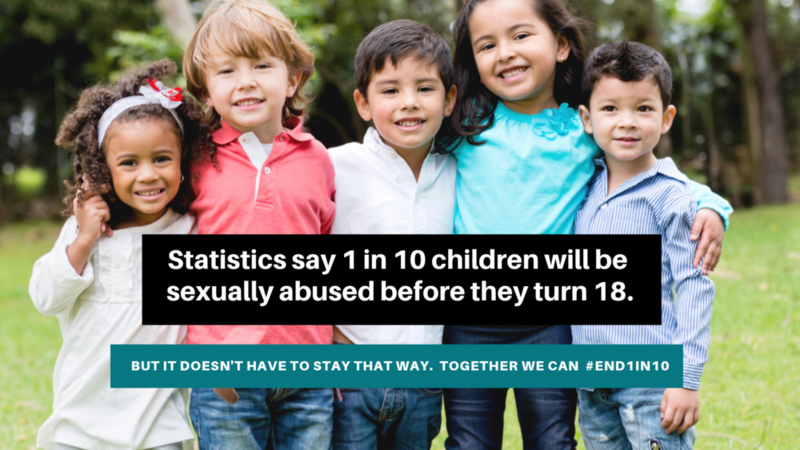 By becoming aware and speaking up about this issue we can #END1IN10! Here’s how we recommend you start the conversation. Wear your campaign T-Shirt and let the conversations begin. Share our campaign video on social media and include the #END1in10 hashtag. Follow us on Facebook and Instagram, and keep the conversation going. Everything you need to know and share about the #END1in10 campaign. Fundamental facts and resources concerning sexual abuse and assault. Click on the image or link below to watch and share our campaign video.